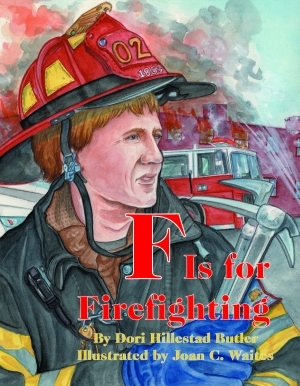 Award-winning author Dori Hillestad Butler was inspired to write this book because of her sons’ fascination with firefighting when they were little and because of her father-in-law, who is a retired fire marshal. Ms. Butler began her career writing for magazines and has also been a ghostwriter for the Sweet Valley Twins and the Boxcar Children series. Butler has written numerous books for children and middle-grade readers and has books on the IRA Children’s Choice lists in ten different states. Joan Waites has illustrated other Pelican titles such as Daniel Boone: Trailblazer and The Waving Girl. The traditional Native American folktale Moon’s Cloud Blanket was selected as an IRA/CBC Children’s Choice Program 2004 Selection. She has also been awarded the prestigious Benjamin Franklin Award (2001) and the Educational Press Award from Hopskotch magazine for her illustrations. Waites has been featured in The Children’s Writer’s and Illustrator’s Market Place, published by Writer’s Digest Books.